We’re out here for science but we also wanted to share the incredible beauty of what we’re seeing. Skip is one of three photographers on the expedition and through his lens you can see some of nature’s art. Finding tiny treasures is one of Skip’s well-honed skills. Between us all we’ve seen nine different kinds of nudibranchs, and here are Skip’s photos of two of them. 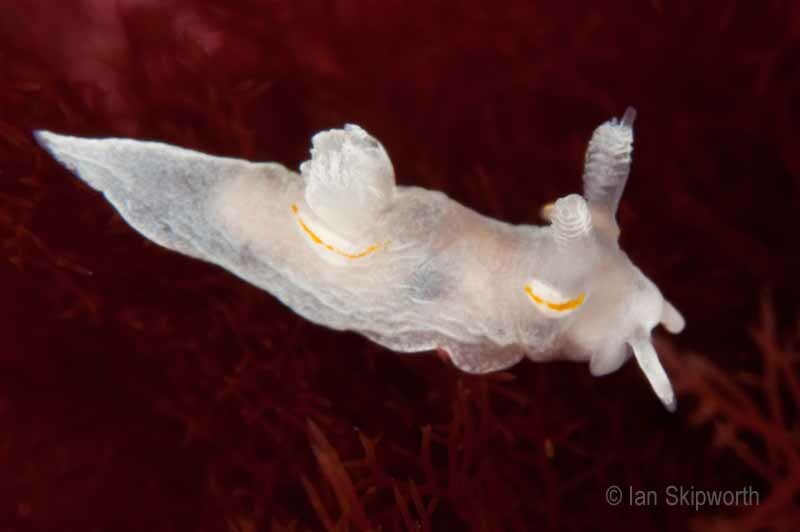 Nudibranchs are a kind of mollusc – snails and slugs are molluscs, too, and nudibranchs are often called seaslugs, which seems a very ugly name for a very pretty creature! Nudibranch means feathered gills, and you can see the circle of gills in the middle of the back of the white nudibranch, which goes by the name Trapania rudmani. The photos make them seem quite big but thing about them is they are really small – and it takes good eyes to find them, and a really good macro lens to take photos like this. 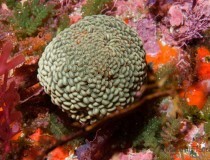 Different kinds of nudibranchs are specialised to feed and live on different organisms. These yellow ones live only on this hydroid, and they’re coloured to match it and blend in. 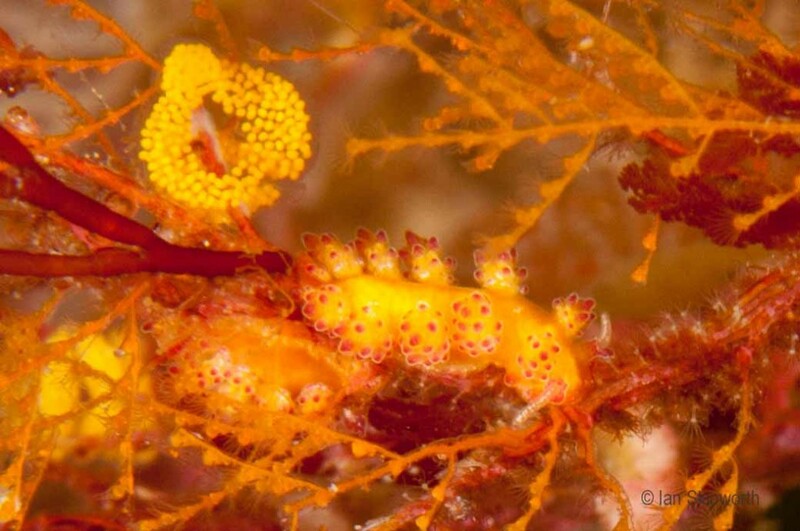 Can you see that there are two nudibranchs in this picture, and also a yellow mass of eggs? It belongs to a genus called Doto, but we don’t know which species it is. Can you see that there are two nudibranchs in this picture? There’s also a yellow mass of eggs but they’re coloured to match their surroundings. As you can see Skip is an expert at photographing big close-ups of very small things, and here are some other shots he’s taken on the trip so far. This looks like abstract art but it’s really a photo of outright warfare. The two colours are two different sponges, and the battle zone is where they meet. Because space is at such a premium here they try and grow over the top of each other – and it’s clearly a close fight! It’s war: it might look like the latest in modern art but this is actually a photo of sea sponges battling for space. This lovely moss-like thing is actually a seaweed. It goes by the long name of Perisporochnus regalis, and there is only one species in the genus and it is only found here at the Three Kings Islands. Even Wendy, our seaweed expert, says it doesn’t really look much like a seaweed! 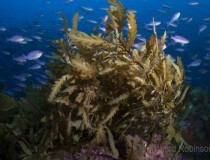 This seaweed (Perisporochnus regalis) is unique to the Three Kings – and it’s definitely not your average looking seaweed. 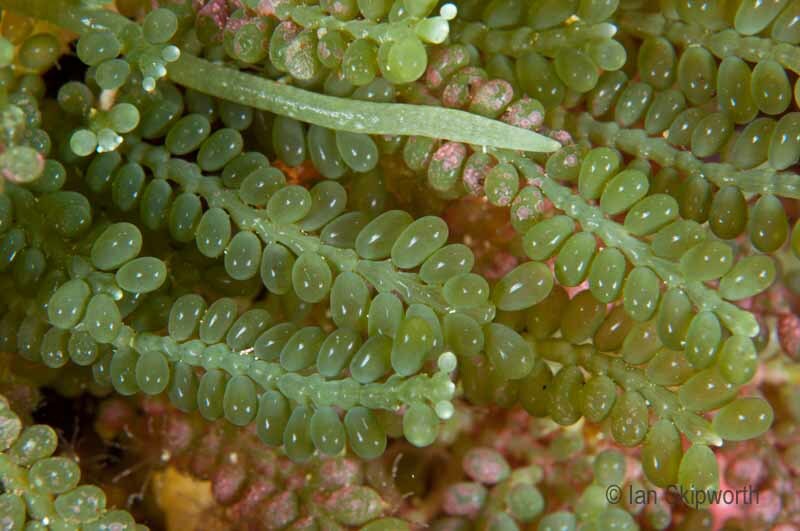 And here’s another gorgeous seaweed – its genus name Geminata says it all, as it really looks like gems strung on a necklace. Wendy says it is nice to eat, and tastes like peppery cucumber. Geminata – so named because it looks like a string of gems on a necklace. Something you can’t tell from looking is that it apparently tastes like peppery cucumber. 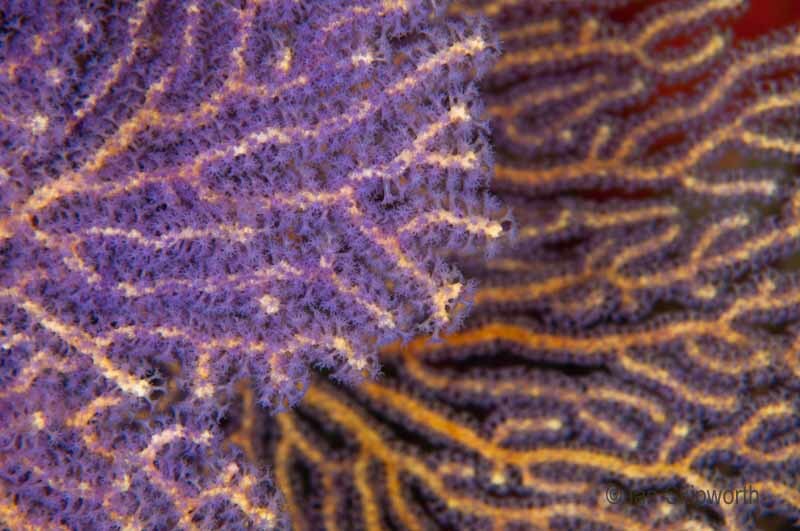 And here’s a lovely close-up of a couple of gorgonian fans. They are related to corals and anemones, and they hang on the underside of overhangs where the individual polyps stick out their tentacles and grab particles of food passing in the current. 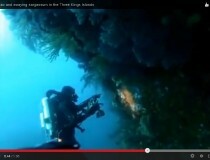 Skip was photographing them in the first underwater video we posted from the Three Kings. 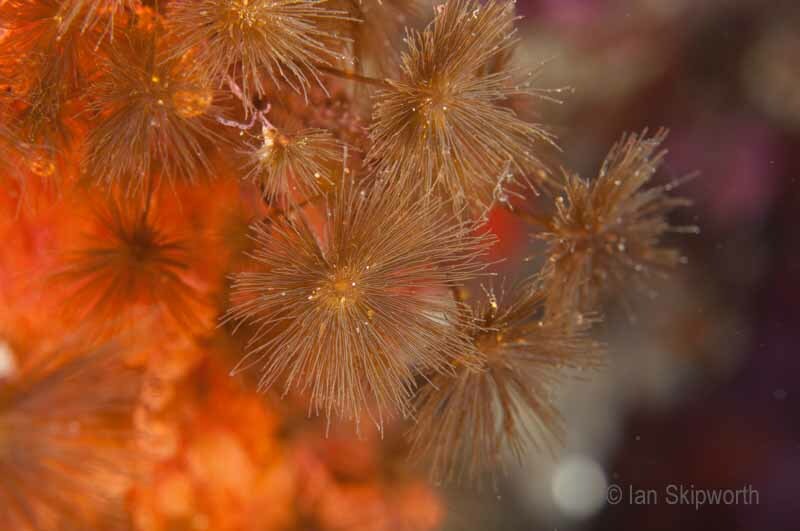 Gorgonian fans – these tentacles aren’t just for looks they’re used to grab particles of food passing in the current. 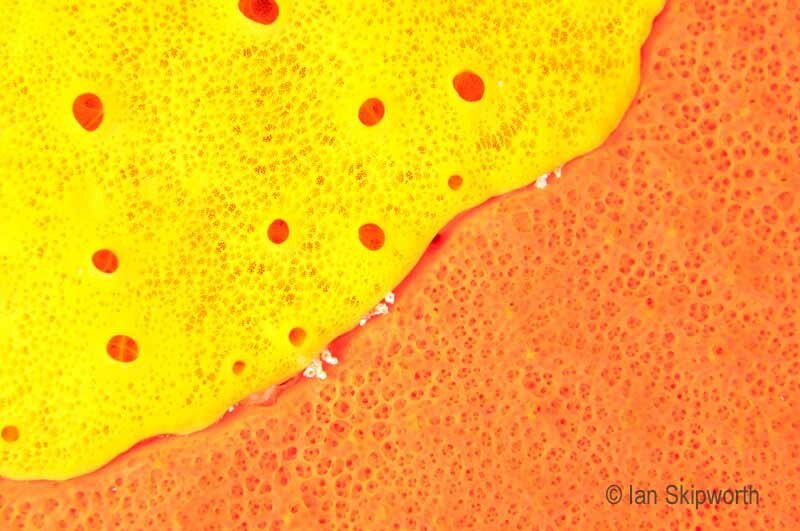 Great pictures, love the orange & yellow sponge shot, so graphic like an artist has painted it. 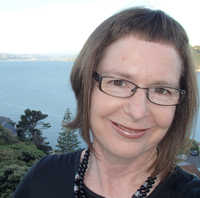 Enjoying following the blogs. Love that cute little yellow and red nudibranch. Great wildlife, great photos. Thank you.